After four weeks of speculation, Iranian Mehdi Sohrabi is said to have signed for the Lotto-Ridley team as it adds reinforcements to stay in the WorldTour next season. 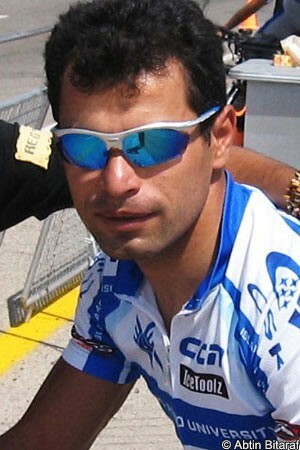 Sohrabi this year won the UCI Asia Tour and took thirteen season victories, and has been sought after for his UCI points. The 30 year old in recent weeks was said to have signed with Geox-TMC but the team has since announced it has lost its title sponsor, putting a question mark over 2012. It missed the UCI’s initial deadline for registration applications and this enabled its riders to leave if they so wished, thus giving Sohrabi a get-out option. AG2R La Mondiale, a team in danger of losing its spot in the WorldTour next year, reportedly also offered the Iranian a contract, but it’s the Belgian team who looks to have come out best as regards securing his signature. Philippe Gilbert’s departure to BMC Racing team left a massive hole in the points system for Lotto-Ridley, which lead to the team being creative in searching for new riders. "We knew it would be touch and go, so we looked at who was still free. Sometimes you need to be a little smarter than the competition," Sergeant said to Sporza. "We sought out Oscar Freire but it was not feasible for us. Sohrabi has been riding Ridley bikes for three years which was a nice link.” The bike manufacturer will be a co-title sponsor for the team next year. The Belgian team made the cut yesterday when the UCI released the initial list of top fifteen teams for the WorldTour next year, based on sporting criteria. This is no doubt thanks to the points haul of Sohrabi and Andre Greipel. Greipel will lead the team next year along with Jurgen Van den Broeck.